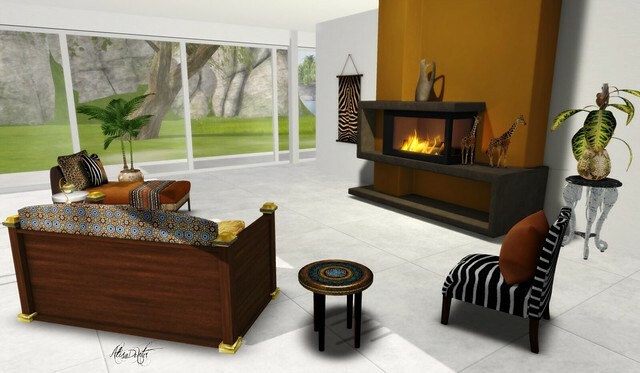 Home & Garden Expo – The Sweet SecondLife…..
Today has been almost perfect, T has the weekend off and could stay a little later. We hung around home while T was working on a tattoo and I was redoing a vendor which I happened to turn the whole store into. *Rolls eyes*. =Mirage= Treasure Company has some really nice items for the Home & Garden Expo for Relay for Life. I don’t usually go for this style but I’m digging the animal prints used in this set. You may also notice I am using the Sarah house by Glas HousesI blogged here. The Home & Garden Expo is just now revving up to speed. If you haven’t been yet, you have to go! There is so much pretty cool stuff to see and buy for a good cause. And, there are some pretty good new designers there also! Gooo! This is going to be a long one so sit back and buckle up Betty. Are We Ready for Some Serious Shopping? I don’t know about you, but I sure am. And we get 22 full days and 10, count’em, 10 full sims of shopping to our hearts content! The Home & Garden Expo (the Expo) starts tomorrow. February 14th a t 12:00PM SLT thru March 6th at 11:59AM SLT., mmhmm, AND it’s all for a good cause, Relay for Life in SL. No matter where you live in this place they call RL, if you or a loved one (hoping not) have had or has the dirty word starting with C, Relay for Life has been able to fund research and new treatments. And we, in SL, do have an impact with financing research. So please, come out and hopefully see some of the exclusives you like and help make a difference. 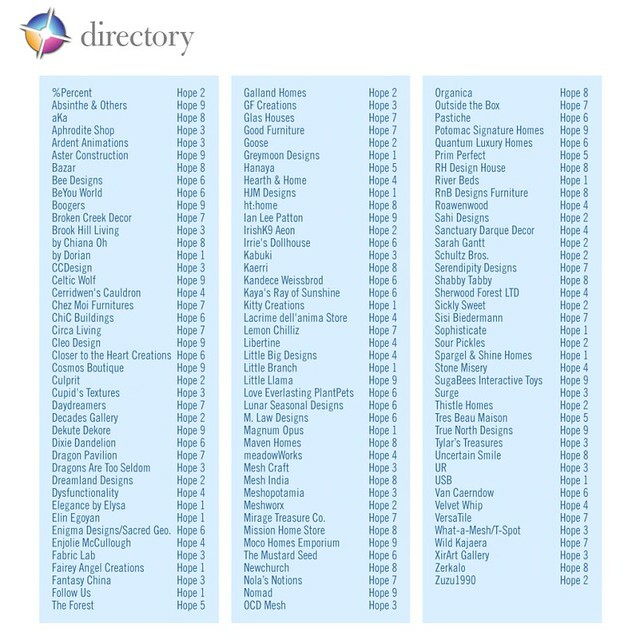 Oh, that ↓ there is your shopping guide and maps for the different sims. All are named Hope. See you there! OOOOOh!! I forgot to tell you. Gacha. nods. There’s Gachas on Hope 5. .Sandi Glas of Glas Houses has 3 different houses at the H&G Expo for Relay for Life. The Expo doesn’t open til Sunday, Feb. 14 at midnight.